Everyone seems to agree that in order to be successful with your solopreneur business, you have to go outside your Comfort Zone. The problem is that what introverts are hearing is, “You have to become more like extroverts.” So “Comfort Zone” is a loaded term. I’ve worked with many introverts who tried “busting out of their Comfort Zone.” After many painful, soul-draining experiences, they’ve come to realize that what they’re really doing is faking extroversion, and they couldn’t sustain it. I define Comfort Zone as the people, places, situations, and skillsetswhere you feel safe and competent. For my clients, I have them also include things they enjoy doing for their business. Here’s the thing: the outer world and robust action-taking are part of the extroverts’ Comfort Zone. 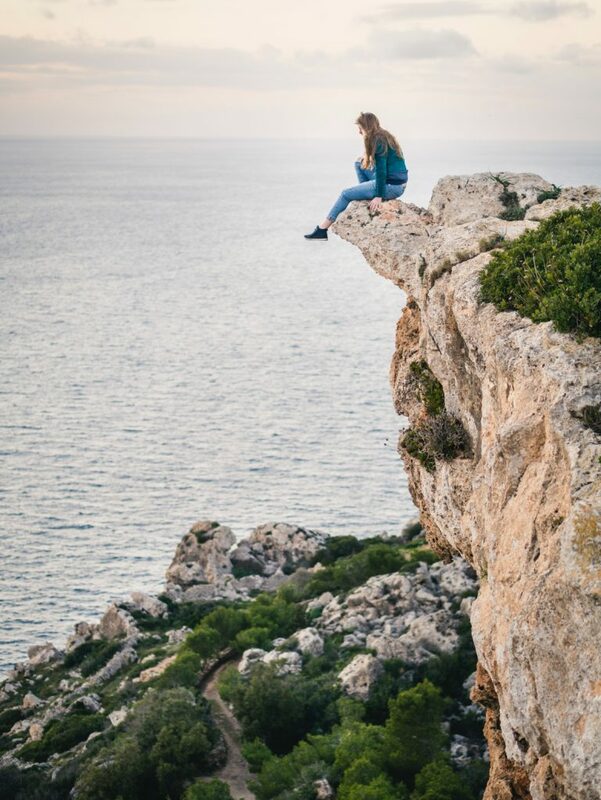 Because of the extroverts’ adrenaline-dopamine brain connection and their nervous system wiring, which is optimized through the action-oriented sympathetic nervous system, they feel “excitement” at the prospect of jumping off a cliff and figuring things out on the way down. They are wired to jump into action in the outer world; they’re energized by new sights and sounds and people, and they’re wired to think quickly on their feet. So, for example, a large convention in a strange city is within an extrovert’s Comfort Zone. And those sorts of activities comprise the current paradigm for how we’re all “supposed” to show up for our business. That’s a big problem for introverts. The introverts’ Comfort Zone is inside the mind, and they’re wired for inner processes, such as deep thinking and planning. Because of their nervous system wiring, which is optimized through the “rest and digest” parasympathetic nervous system, introverts get drained and feel overwhelmed in large, noisy crowds; they take longer to get their thoughts together to communicate; and they often freeze when the spotlight is suddenly put on them. The introvert’s Comfort Zone includes being alone in a quiet place or in very small gatherings where they know the other people well – or other situations where they can access their complex, nuanced thinking without contending with a lot of outer stimuli coming at them. Now here’s the rub: Why should introverts have to do business by trying to operate from within the extrovert’sComfort Zone? Now, we all need to get out of our Complacency Zone – that place where we hide in order to maintain the status quo as a (false) way of feeling safe, instead of moving forward into the unknown with our business. I say “false safety” because staying complacent leads to stagnation and failure. Complacency Zone activities (or should I say “in-activities”) include procrastinating, rationalizing and justifying inaction, and listening to the inner critic as if it’s telling the truth. Let’s all work from inside our Comfort Zone. If you’re a woman solopreneur on the introverted side of the spectrum and feel like your introvert traits are obstacles to your success, strategy coaching might be right for you. You CAN reach your goals in introvert brain-friendly ways! Click HERE to schedule a free exploratory consult.